Seresto Flea Collar provides the performance you expect from flea topical in an easy-to-use collar. It provides continuous protection against fleas for up to eight months. With Seresto, pet owners have an effective and affordable option for flea control in an easy-to-use collar. 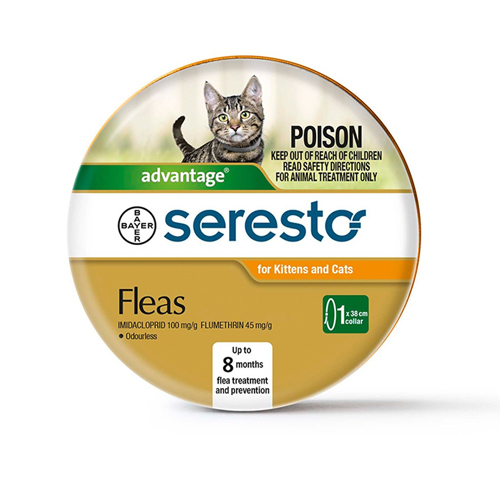 Manufactured by Bayer, Seresto Flea collar provides uninterrupted protection against fleas. The Seresto collar not only kills existing fleas but also prevent future infestations. This helps protect your pet from diseases spread by these parasites. Seresto combines two active ingredients, imidacloprid and flumethrin, providing dual action against fleas. Bayer's sustained release technology provides continuous protection against fleas for up to 8 months. The active ingredients are integrated into Seresto’s polymer matrix. Low doses of these ingredients are released from the matrix and absorbed through the fatty layer of the pet’s skin and hair. The active ingredients are distributed over the pet’s entire body surface to protect the pet. Two Summer's in a row our 98% indoor cats contracted fleas. We tried Advantage, Frontline, natural clove flea drops, other flea collars, flea baths etc. Nothing worked and my boy cat has sensitive skin. I was worried about the toxins. A friend told us about Seresto. 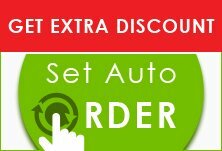 We ordered them (by the way they are cheaper here than other places which is why I buy here) and the fleas and eggs were gone very fast. The cats have no side affects. They don't mind the collars as they are thinner and skinnier than a normal collar and more pliable. I highly recommend them for prevention and treatment. This product is indisputably above par other flea preventative treatments available in the market. Got it at a price which will not hurt my pocket and so very happy with the purchase! !